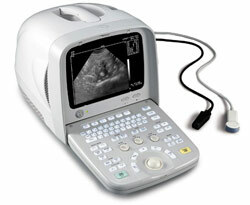 The new CTS-3300V+ Equine Ultrasound is perfect for equine repro work. It's easy to learn to use, easy to operate, and pulls a great image at what is an extremely affordable price with our discounts. Custom softshell carrying case with shoulder strap. 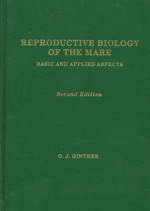 A laminated 18" x 24.5" poster of the reproductive organs of the mare. 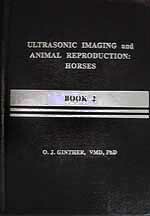 Your choice of one of three exceptional works on equine repro and ultrasound (see below), any one of which covering more than you'll probably ever need to know about equine repro ultrasound work, and the combination of them constituting what amounts to a complete university course! Give us a call to learn more and find out our best current discounts, or send us the short inquiry form below. 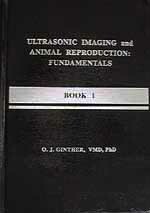 We'd love to help get you started with ultrasound! Call today for our best deals! Or click here to inquire. This poster is just beautiful. We can provide it laminated (if you'd like to hang it out in the barn) or unlaminated if you would prefer to frame it. It's certainly beautiful enough to frame! Prerequisite to subsequent books in the series. Applies to all animal species.